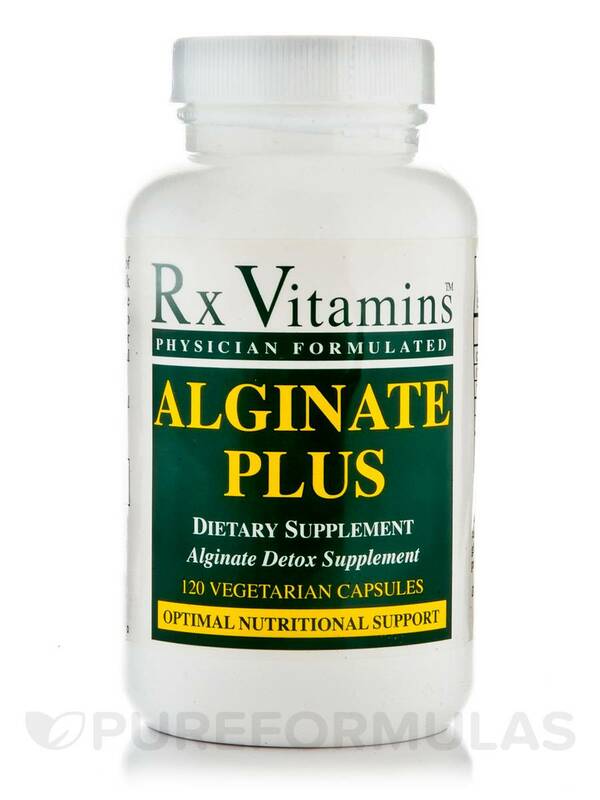 If you’re looking for a supplement that could potentially have a mild detoxifying effect‚ Rx Vitamins’ Alginate Plus may be right for you. First‚ every serving of Alginate Plus contains 400 milligrams of sodium alginate. Notably‚ alginate may be able to bind with certain heavy metals in order to make them easier to remove from your body. This Rx Vitamins supplement also provides an herb called milk thistle. 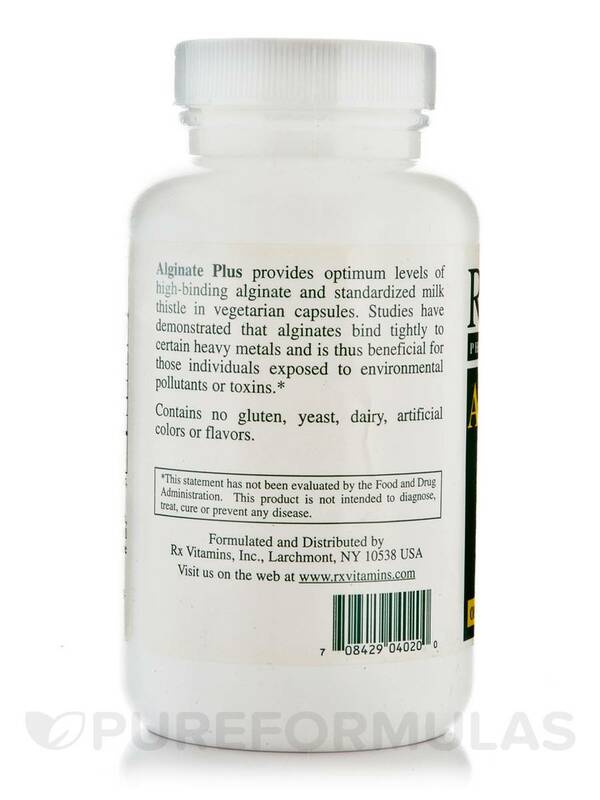 Specifically‚ the milk thistle extract in Alginate Plus has been standardized to provide 80 percent silymarin‚ which is an active compound that might work to maintain optimal liver function. Since your liver plays a key role in removing toxins from your blood stream‚ this product may help address certain symptoms associated with mild fatigue or irritability. At the recommended serving size of one capsule three times daily‚ each 120-capsule bottle of Alginate Plus by Rx Vitamins should last for 40 days. 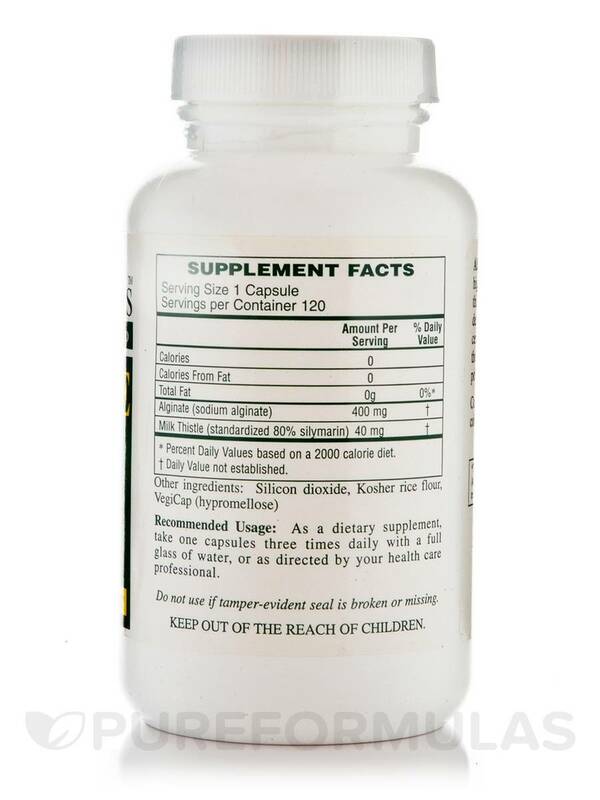 Recommended Usage: As a dietary supplement‚ take one capsules three times daily with a full glass of water‚ or as directed by your health care professional.